A owl hooting your special day at top of voice? Doesn’t that sounds like a fantasy from some animated movie? Not at all?! We offer a “fantasy personified choice” to all those who wish to gently announce their special day with a joyous “hoot”. Personalized 3.5 x 5 love owlways save the date round corner magnets are becoming the vogue of season. 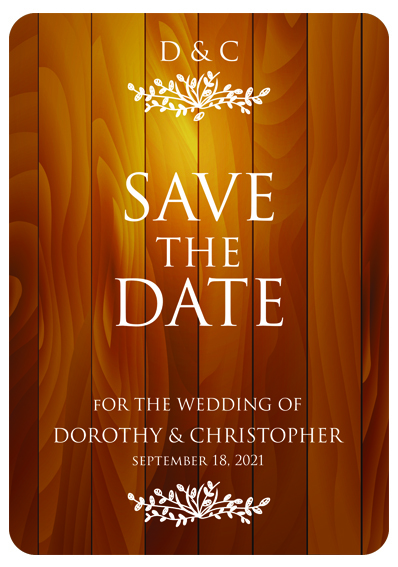 As couples believe that everyone would adore those “angelic owls” as in custom 3.5 x 5 love owlways save the date round corner magnets hooting joyously from refrigerator doors. And viewers will definitely make it a point to join them in celebrating their special moments.